Almost half of adults admit to not brushing their teeth in the evening – blaming being too tired or simply forgetting, a new survey today reveals. Experts warn by doing so people are putting themselves at risk of cavities, gum disease and even tooth loss. Forty-five per cent of the 10,000 people taking part in the study say they have gone to bed without brushing their teeth. 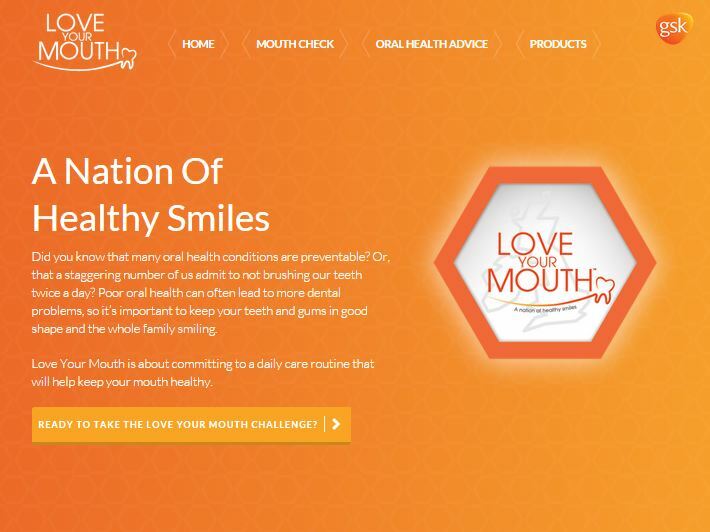 Experts have warned the survey, commissioned by GSK as part of its Love Your Mouth campaign, implies thousands of people could be at risk of dental health problems. Ah, there it is – GlaxoSmithKline, the makers of Aquafresh, Sensodyne and other toothcare products. 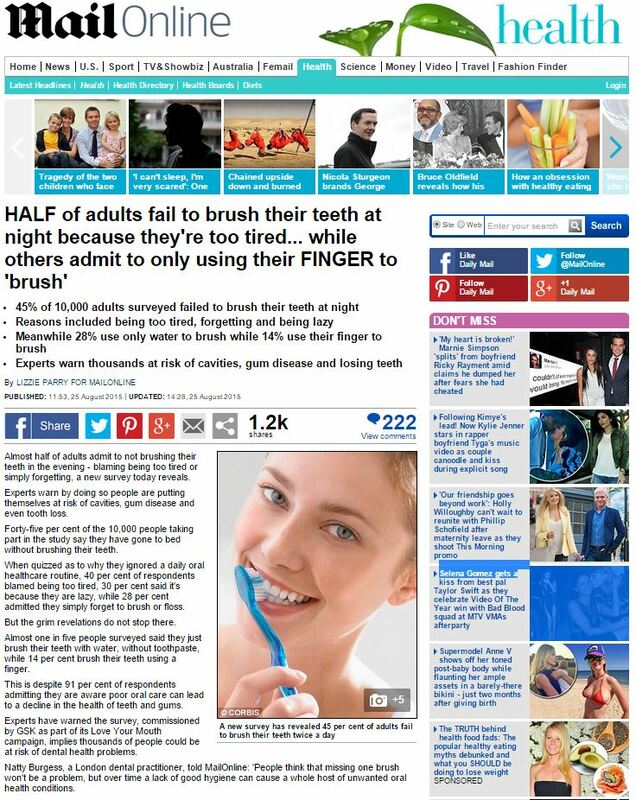 Almost one in five people surveyed said they just brush their teeth with water, without toothpaste, while 14 per cent brush their teeth using a finger. It’s quite clear here that this statistic covers people who admit to having gone to bed, in the past, without brushing their teeth – not every time, but at least once, or perhaps at least once in the last few months. So with that in mind, those 20% and 14% figures cover people who have brushed without toothpaste or even a brush at least once. Which is to say, that time you unexpectedly stayed overnight with someone, or that time you went to a hotel and forgot to take your toothbrush – you’re in that 14%. Does it mean you don’t love your smile? Of course not. Does it make it much easier for GSK’s PR team to create headline-grabbing claims? Absolutely. This entry was posted in GlaxoSmithKline and tagged daily mail, GlaxoSmithKline, Gloucester Citizen, Lizzie Parry, Plymouth Herald, Rochdale Online on September 10, 2015 by Michael Marshall.